One of the finest Spin Bowler World has even seen on Grounds of Cricket the Sri Lankan Spinner Muttiah Muraitharan has decided to retire from the Test format of Cricket. Muttiah Muraitharan is the leading Wicket taker bowler and considered most dangerous spin bowler of the World. Muttiah Muraitharan will retire after upcoming Test against Australia that will be played on 18 July. He is 38 years old and got 792 wickets in 132 test matches that he played for the Sri Lanka. Although he is going to retire from Test Cricket but he will continue to play in ODI and T20 Cricket for Sri Lanka and will also take part in next year Cricket World Cup. 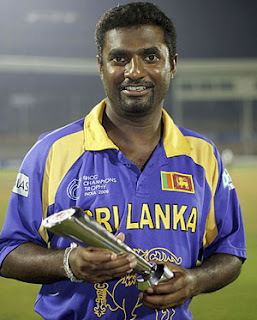 Muttiah Muraitharan has taken the decision of retirement after discussing with selectors and his family.